Please share your proposals and comments regarding your stay in “Evropeisky” Hotel. As a rule, kids dream of seas of juice, mountains of ice-cream and falling steams of chocolate. And it would be nice, if all that abundance were accompanied by a favourite cartoon. 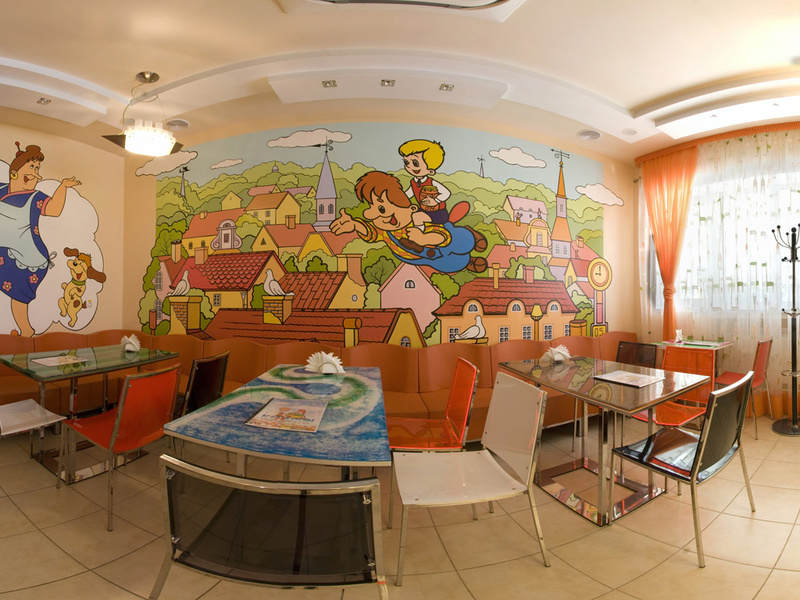 All kids’ dreams come true in «Carlson» Kids Cafe. 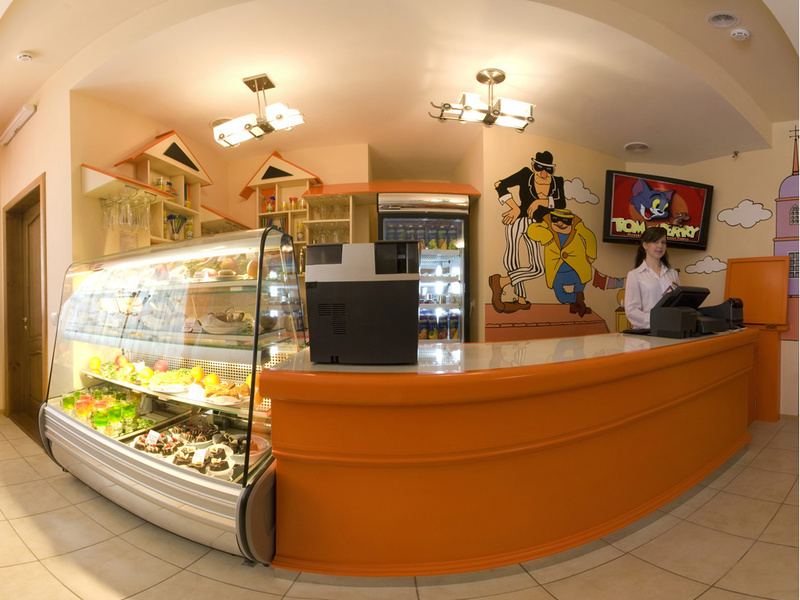 The menu of «Carlson» Cafe includes a wide selection of dishes, juices, cocktails for kids. Our own confectionery allows us to offer any child tasty and always fresh pastries. 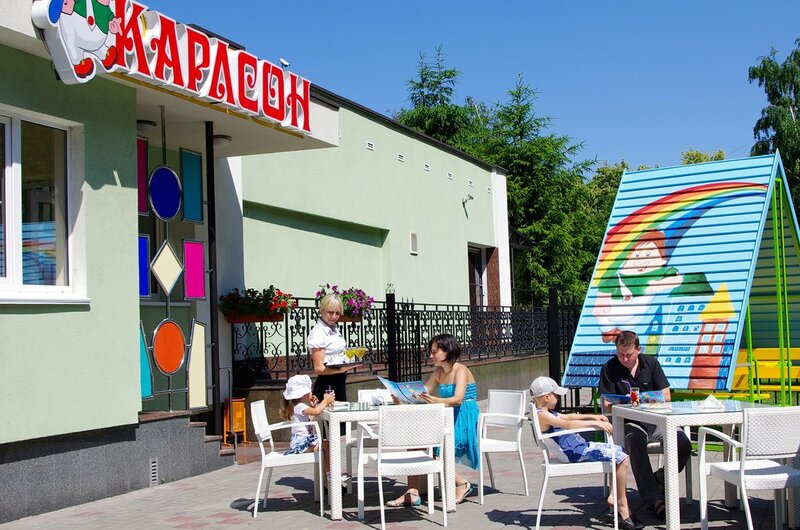 Anyone can afford to celebrate a child’s birthday in «Carlson» Cafe – we practice an individual approach and have offers for different family budgets. No doubt – with us your party will turn into a fairy-tale with bright adventures and journeys to the world of fantasy and magic.